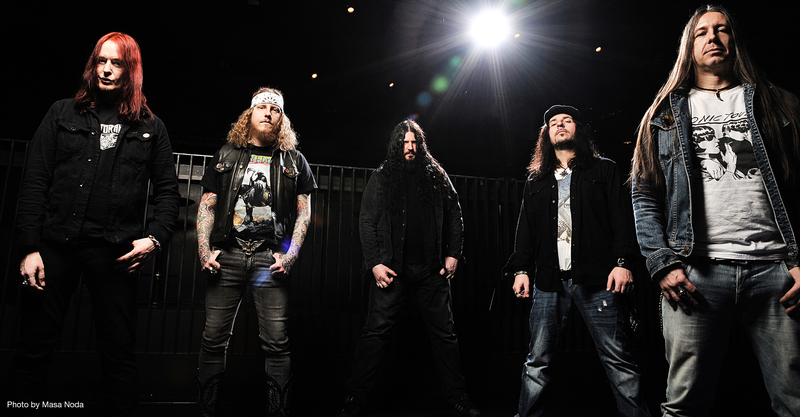 Spiritual Beggars launch video clip for “Hard Road”; 7” and more shows announced! Filmed & edited by Dirk Behlau /www.thepixeleye.comand produced by Beastwood Films / www.beastwoodfilms.com, the clip consists of footage gathered on the band’s latest European tour and highlights the band’s vivid on stage character. "We just completed a three week tour through Europe and it was a very cool experience. Lots of love from our supporters out there and so awesome to see the new songs off our "Sunrise To Sundown" album go down so well! We had videographer Dirk Behlau come out to a couple shows in Germany to hang out, drink beer with us and capture some of the on and off stage action on camera - the result is a new clip for the song "Hard Road"...Enjoy!" In other news, SPIRITUAL BEGGARS will release a strictly limited 7” EP including the album’s bonus cover versions of Mountain and Ten Years After via Germany’s H42 Records on May 30th. “Sunrise To Sundown” by SPIRITUAL BEGGARS is available as 2CD Mediabook (Bonus disc includes 2 cover versions and 5 live tracks), Jewel Case CD format and also on vinyl. The LP format comes on 180gr. vinyl (Standard black, but also on limited colored runs of 500x copies on dark green vinyl and 200x copies on yellow vinyl!) with gatefold packaging, a double-sided poster and the full standard album on CD as bonus. The album entered the sales charts in various European countries as follows: Germany # 79, Switzerland # 45, Belgium (Wallonia) # 110 and Sweden # 77. Just like on their previous two album releases, “Return To Zero” (2010) and “Earth Blues” (2013), SPIRITUAL BEGGARS stellar line-up consists of bandleader Michael Amott (Arch Enemy, ex Carcass) on guitars, teaming up with Apollo Papathanasio (ex Firewind) on vocals, Sharlee D'Angelo (Arch Enemy, Witchery) on bass, Per Wiberg (Candlemass, ex Opeth) on keyboards as well as Ludwig Witt (Grand Magus, Firebird) on drums. “Sunrise To Sundown” not only easily demonstrates how much on top of their game SPIRITUAL BEGGARS still are after over 20 years of activities, but also adds a fresh and spontaneous vibe to their impressive catalogue.